This coil allows the user to work with the iron discrimination ability of the later GPX detectors which a lot of prospectors and relic hunters require. This coil has good ground coverage, and by swinging slowly this will enable the coil to detect deep targets. It also has great sensitivity to small targets as it is capable of seeing the sub-gram nuggets at good depth. This is an excellent choice when there is mild to high mineralisation conditions. 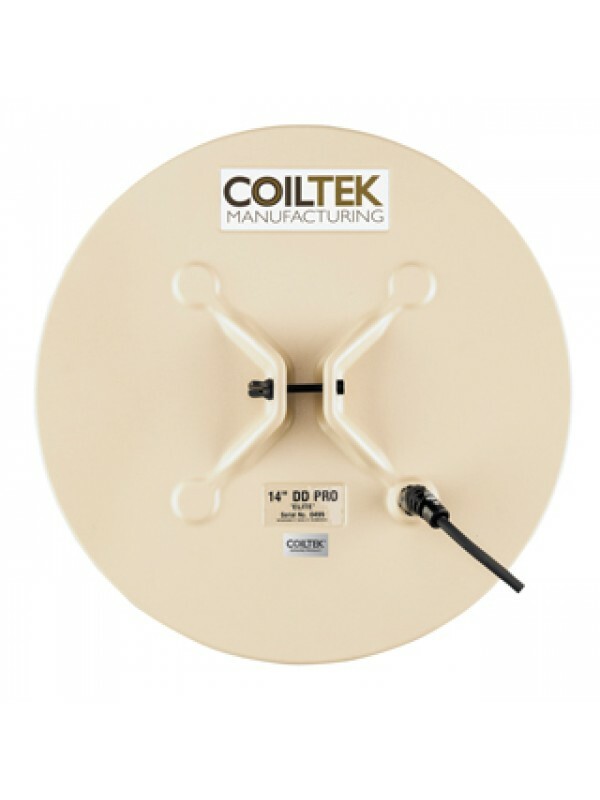 The 14" DD PRO is the newer series of DD coils as the Goldstalker series have been developed to enhance depth and sensitivity capabilities. 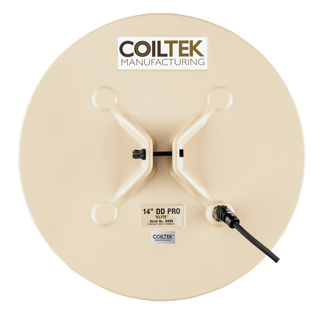 The main sensitivity area for the coil is through the centre when looking from above and when pinpointing the target will start to respond approximately 1 inch in from the tip of the coil. However, the deeper the target in the ground the response and pinpointing ability moves more to the centre of the coil. To ensure good ground coverage, be sure to overlap the swings by at least one quarter the size of the coil and by moving slowly with this coil you will allow the field to penetrate to good depths and excite the deeper targets. It has great sensitivity to small targets as it is capable of seeing the sub-gram nuggets at good depth. This is an excellent choice when there is mild to high mineralisation conditions.